Korab Resources Ltd is a diversified international mining and exploration company listed on Australian Securities Exchange (ASX code is KOR) with magnesium carbonate, phosphate, and silver/gold development projects in Australia and overseas. Korab also explores for cobalt, copper, nickel, gold, zinc and lithium in the Northern Territory and Western Australia. Winchester magnesite deposit is operated by Korab's subsidiary AUSMAG PTY LTD. It is one of the best located magnesium deposits in the world with ~17 million tonnes of JORC Code compliant resource @ 91% MgCO3. Winchester is located just 75 km south of the port of Darwin. Project is serviced by excelled infrastructure including, rail, sealed highway, gas pipeline, high voltage power and potable water. Magnesium is stronger than steel yet lighter than aluminum. It is widely used in chemical industry, aerospace and military applications, steel making, as flame retardant, super conducting materials, automotive sector and building and construction. Geolsec Phosphate Operations Pty Ltd (GEOLSEC) is the operator of the Geolsec phosphate mine located near Darwin in the Northern Territory. The phosphate mine has recently completed permitting process. The Geolsec project has some of the best logistics and basic infrastructure of any rock phosphate project in Australia. The mine is located 2km from the town of Batchelor, approximately 70km south from the port of Darwin (capital of the Northern Territory). Geolsec mine is accessible all year round by sealed Batchelor Road. Geolsec is situated in close proximity (10km by sealed road) from Stuart Highway and the transcontinental railway line connecting Darwin with Adelaide (capital of South Australia) and with the national road and rail transport network which links Adelaide with Western Australia, Victoria, New South Wales and Queensland. Bobrikovo gold and silver project contains 3.3 million ounces of gold and 16.3 million ounces of silver in JORC compliant resource. To read more about the Bobrikovo Project please go to the Bobrikovo page by clicking on this link. The project is located in the Donbas region, Lugansk province in Eastern Ukraine. Presentation - "AusMag, emerging leader in magnesium carbonate supply chain"
You can elect to receive communication from the Company electronically by accessing your shareholding at the Share Registry. You will also be able to change your mailing address, and other details. To log-in you will need your HIN/SRN and Postcode. 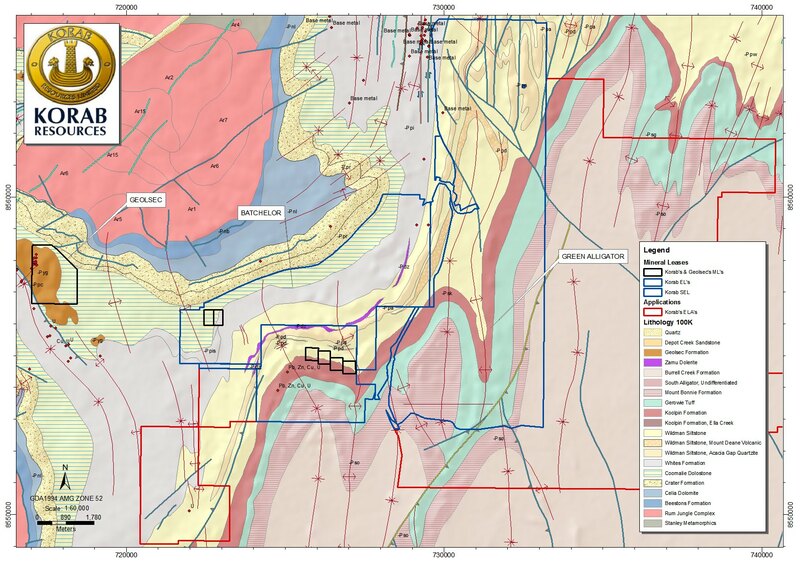 Mt Elephant is an early stage exploration project with primary focus on copper and gold. It is located south of Paraburdoo in Western Australia.